The busy post-Christmas, health focussed January is now over, and for many, February brings your practices first chance to focus on marketing. And where better to start than to take a good look at your own arsenal of weapons. Arsenal of weapons? well – marketing weapons! With Animana you have everything you need to set up a good campaign and start reaping the benefits. Content? Yes, but let’s not make it too difficult right away – content is information, and information is knowledge, and you hold all the knowledge to make some great content – you just have to make a little time. Pet owners make their decisions based on good information, and you have already earnt their respect as their veterinarian. The first step is to consider a topic. 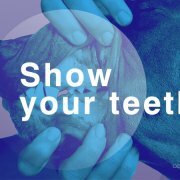 Traditionally, February is seen as “dental month”, so this is a good place to start – but feel free to write to suit your own knowledge. Content Tip #1: Start by looking at the questions you get all the time, for example; “My dog ​​has bad breath, what can I do about it?”, “Do I have to go to the vet?”, “Can I clean my pets teeth myself?”. Content Tip #2: Keep it simple. Pet owners aren’t looking for an essay about a topic – just key advice, clearly laid out. If your content is just a few sentences, then that’s fine – as long as it’s good relevant advice, your audience will appreciate it, and respond accordingly. Content Tip #3: Including a promotion can greatly increase the effectiveness of a campaign. Content Tip #4: The veterinary industry makes a lot of good content available to you as a practice. If you spot something you’d like to send to your customers, why don’t you ask if you can use it! Primarily you’ll probably want to send your message out via email to many of your customers in one go. Hopefully, you already identify which pet owners you are able to send emails to, and you keep email addressed maintained as much as possible. Emails allow you to present your information clearly where it will be easy for your audience to digest. In Animana you can use the powerful Content Designer to make your content look great with minimum effort. Sometimes dismissed as an old-fashioned way to communicate, but time and time again we have seen great results, and you’re also in good company as Governments, care institutions, also prioritise text messages. If your practice has a good social media presence, you should also be posting your advice there too – you’ll probably get some great audience participation which will drive the success of your campaign. Advice provided. Appointments made. Mission accomplished! 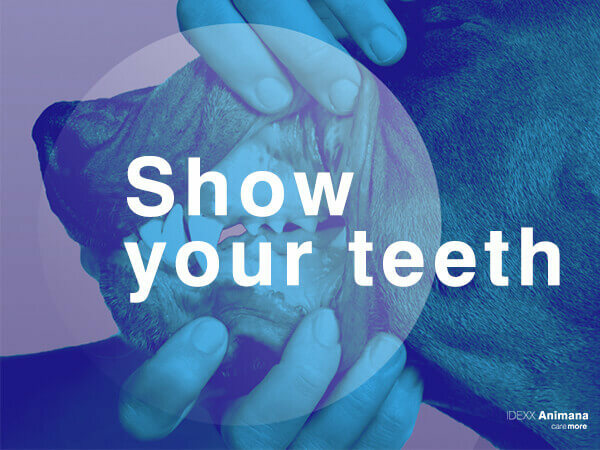 Not quite – we all know healthy teeth require maintenance… Don’t forget to send six-month reminders – this attention to detail can often be the crucial steps to a healthy pet and a satisfied owner.